Seminars and custom training for your office or convention. 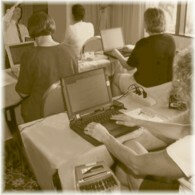 This text for stenographic writers (court reporters) by realtime instructor Denis Thievin has all the basics needed to convert non-realtime writing to full-out, remunerative realtime writing and making complete dictionary overhauls. It has a full set of steps for identifying conflicts and finding logical resolutions. It allows any shorthand writer to choose a unique method, and it promotes methodical, not patchwork, methods. Based on the most frequently occurring English words, this book untangles problems normally associated with analyzing prefixes, suffixes, homonyms, and word boundary problems. 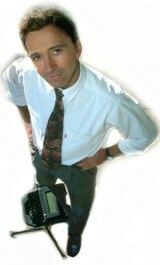 It contains thousands of words in lists with the most likely word parts written by steno writers. It leads to orderly searches of one's CAT dictionary for finding and eliminating problem entries. Best of all, it gets straight to what's most needed to write acceptable realtime from court reporting to captioning. 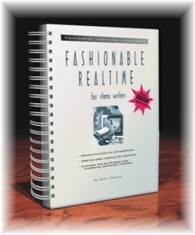 "I devoured Fashionable Realtime the minute I received it and recommend it to all I see. Again, thanks. I have been realtiming for almost 10 years, and FRT says everything I have ever wanted to say in a marvellously structured way." Free, downloadable articles by the author. Request any not listed.